Get 50% off 1080p HD Spot+ Camera. The 1st DIY Motion Tracking Smart Home Security Camera from iSmartAlarm! Add the HD iCamera KEEP video camera to the smart home security of iSmartAlarm; Free emergency alert notifications - Phone call, text message, app push notification, email; No monthly fees, No set-up costs, No contracts; Voice control with the iSmartAlarm Amazon Alexa Skill; IFTTT-compatible; Includes 1 CubeOne (with 110 dB siren built-in), 2 Contact Sensors, 1 Motion Sensor, 1 HD iCamera KEEP Smart Home Security Camera, 2 Remote Tags, and 4 iSmartAlarm window decals. Free emergency alert notifications - Phone call, text message, app push notification, and email; No monthly fees, no setup costs, no contracts; Voice control with the iSmartAlarm Amazon Alexa Skill; IFTTT-compatible; Easy setup in minutes; Includes 1 CubeOne (with 110 dB siren built-in), 1 Spot HD smart home video camera, 3 Contact Sensors, 1 Motion Sensor, 1 Remote Tag, and 4 iSmartAlarm window decals. Free emergency alert notifications - Phone call, text message, app push notification, and email;; No monthly fees, no setup costs, no contracts; Voice control with the iSmartAlarm Amazon Alexa Skill; IFTTT-compatible; Easy setup in minutes; Includes 1 CubeOne (with 110 dB siren built-in), 1 Spot HD smart home video camera, 3 Contact Sensors, 1 Motion Sensor, 1 Remote Tag, and 4 iSmartAlarm window decals. These iSmartAlarm coupon codes have expired but may still work. Take 40% off iSmartAlarm exclusive packages - smart home security for any sized home, with no monthly fees or contracts. Use code FORTRESS at checkout. Offer valid through 4/19/18. Click here! 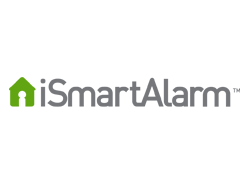 Take 40% off iSmartAlarm exclusive packages - smart home security for any sized home, with no monthly fees or contracts. Offer valid through 4/19/18. Click here! Take 30% off the 110dB iSmartAlarm Satellite Siren for your smart home security system! Use code SHOUT at checkout. Click here! Save 50% on the motion-tracking HD iCamera KEEP Pro smart home security camera from iSmartAlarm for a limited time. No joke! Save 50% on the motion-tracking HD iCamera KEEP Pro smart home security camera from iSmartAlarm for a limited time! Use code APRILFOOLS at checkout. Click here! iSmartAlarm FLASH SALE! Save 40% on Exclusive Security Packages (Guard, Protect, and Shield). use code EXCLUSIVE at checkout. 72 hours only, Shop Now! Save 30% and control your security system with the easy-to-use Remote Tags from iSmartAlarm (with emergency panic siren trigger). Use code CONTROL at checkout through 3/29. Click Here! Save 30% and control your security system with the easy-to-use Remote Tags from iSmartAlarm (with emergency panic siren trigger). Use code COLTROL at checkout through 3/29. Click Here! Receive 60% off the HD smart home iCamera KEEP from iSmartAlarm for a limited time! Use code KEEP60 at checkout. Shop now! Save 25% off iSmartAlarm devices for a limited time! (Keypad and Contact Sensors excluded). Use code 25PICKUP at checkout. Shop Now!